IRI has introduced another data discovery feature for personally identifiable information (PII) held in enterprise data sources. Beyond pattern- and fuzzy-match searches already supported, the new feature finds values held in a lookup or ‘set’ file (e.g., a list of names). IRI CellShield™ Enterprise Edition now offers an Intra-Cell Search feature that finds and masks sensitive data in unstructured cell contents. 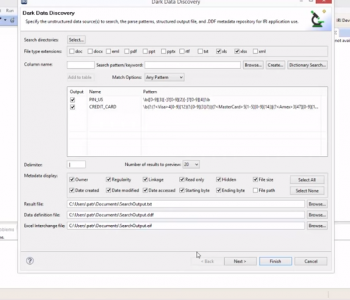 Just as with full-cell values, you can now identify and mask the ‘floating’ sensitive data in Microsoft Excel® spreadsheets with only a few mouse clicks. 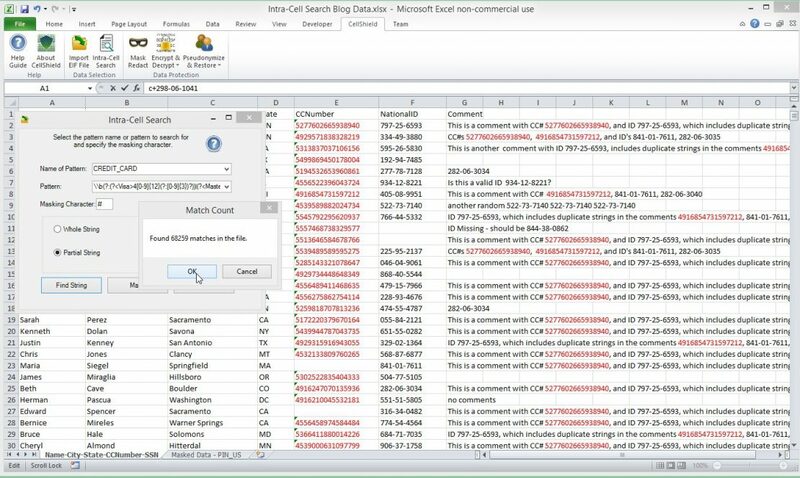 IRI CellShield EE (Enterprise Edition) is the full-featured, professional data masking package for Excel 2010 and later workbooks in your LAN, and MS repositories. 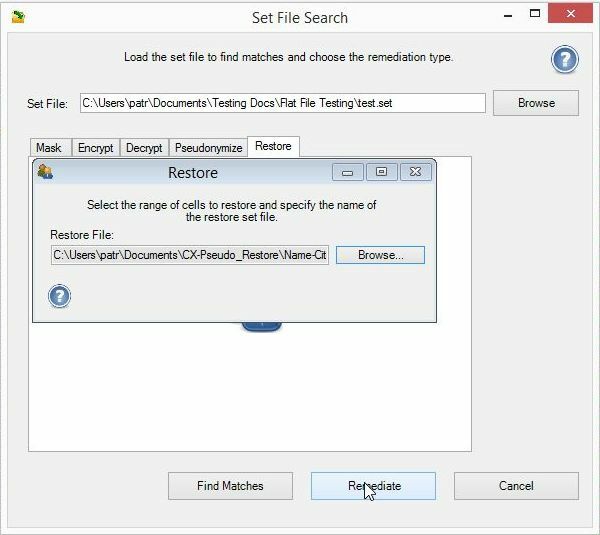 Discover, report, protect, and audit PII in cells across multiple sheets at once using encryption, masking, and pseudonymization functions to comply with data privacy laws.